Is a Self Contained Percolator. 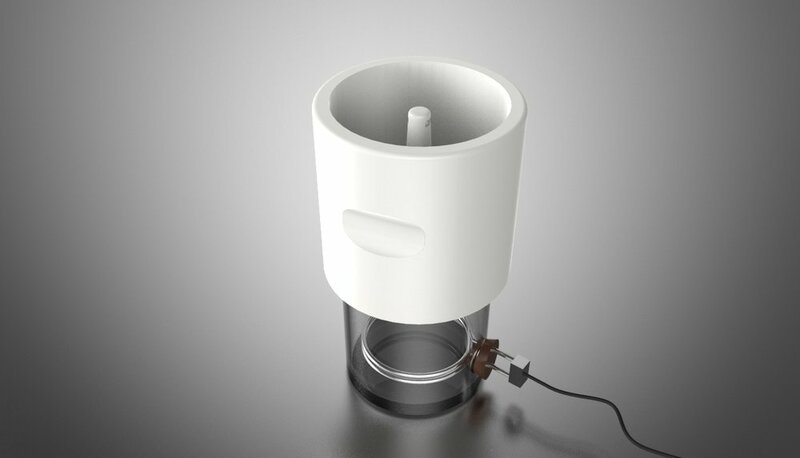 You Perc works by combining the elements in a standard percolator into one self contained unit. 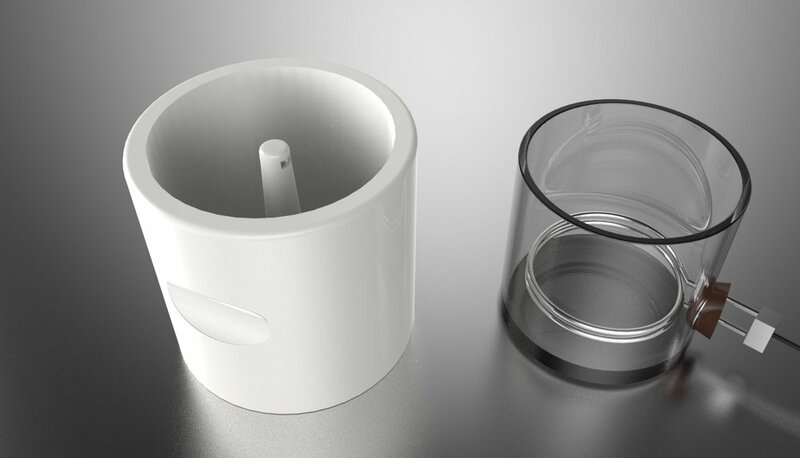 With a elegant glass beaker and coffee basket, with a ceramic printed cup on the top. 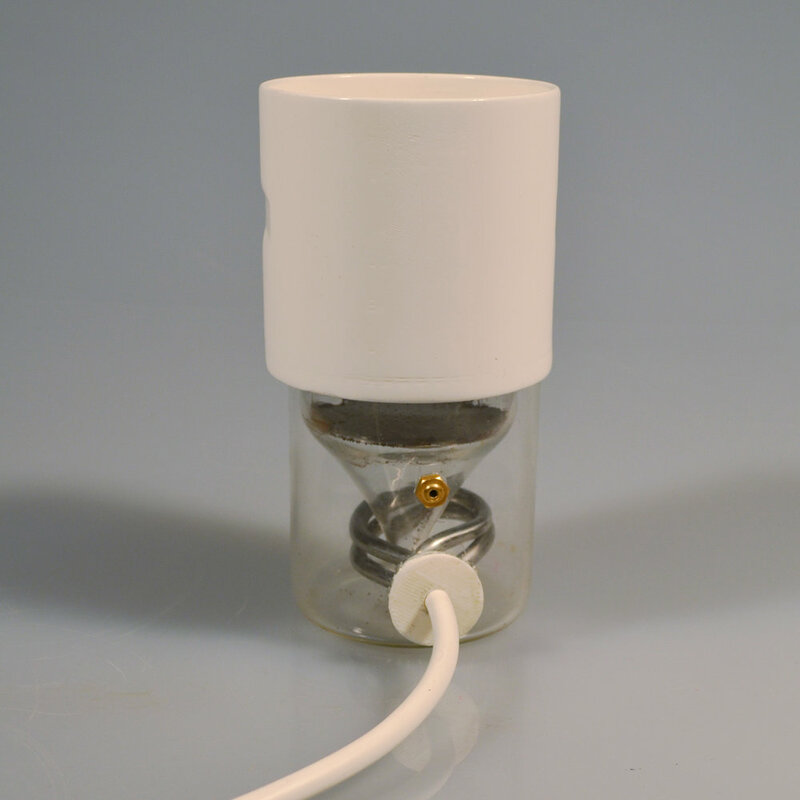 The ceramic printed cup and metal tip of the percolator have been printed by shapeways. These two contrasting elements combine to create a succinct and contained experience. To generate the heat a simple wire heating element in the beaker is used to heat up the water and force it up through the coffee and finally out the metal tip of the spout just as a normal percolator does. With the cup being ready for you to pick up and drink. All of this in one simple place creating a simplified percolation experience. In retrospect exploring the cup form further could have resulted in a more portable design that allows you to take it on the go. The recent advances in induction heating elements could have also been used to further innovate the traditional basket and bottom form used.